Nestled in the gap of the lush mountains of Western North Carolina we are stewards of the land long called Hickory Nut Gap Farm. The story of our family inhabiting this land began in 1916 and five generations later we continue to share our story and place with our community by inviting you to be a part of our family farm experience and to try our products. Our reach goes beyond these mountains as we continue to grow our belief that we can build community through agriculture. HNG grassfed beef, pasture raised pork and chicken, raised by farmers who share our values, can be found regionally in groceries and restaurants. Meet the people behind your food. HNG products are meant to be shared with those you love and feed. We focus on aligning our values with yours through stewardship, authenticity and connection. Animals are raised humanely, products are packaged professionally, and our farms and the environment we steward are cared for and productive. We remain curious and open minded to the possibilities of inspired growth. Hickory Nut Gap is run by farmers and we are proud to be inspired and partner with other farmers in our region. “HNG shares our family farm values; pasture raised animals are treated humanely from birth to finishing.” ~John Sherrill, HNG Partner Farmer, Sparta, NC. This winter HNG is offering several classes and workshops. 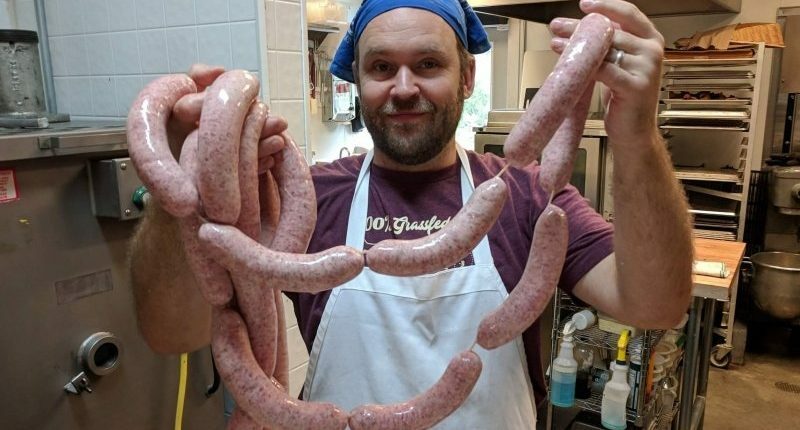 Join us for exciting demonstrations in whole hog butchery, sausage making, fermenting and pickling, and much more! Space is limited to 12 per class, so advanced ticket purchase is required. Every Thursday our kitchen prepares 100% grassfed burgers for half price! 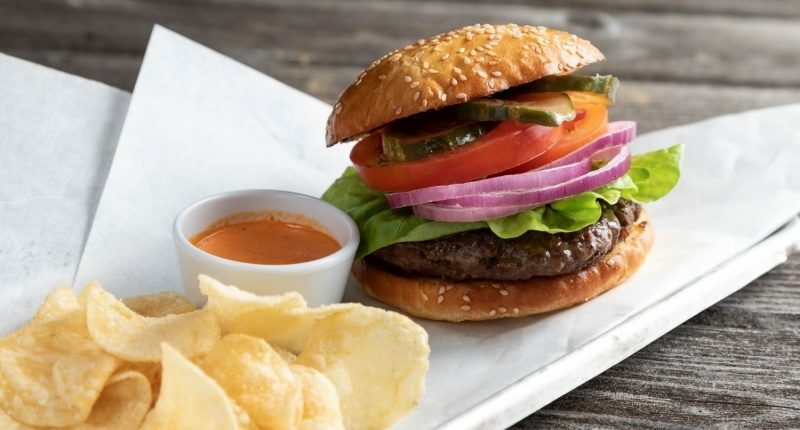 Half-priced burgers are served with kettle chips, but upgrade to natural cut fries or a specialty side of chef prepared mac & cheese, tangy slaw, side salad, or baked beans! Kitchen hours are from 11am-4pm. Come on out y’all! 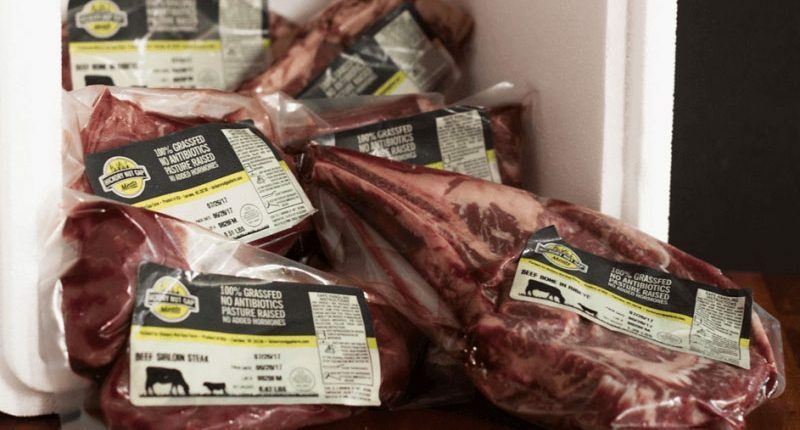 Our monthly meat CSA program is now an exclusive VIP membership club for everything HNG. 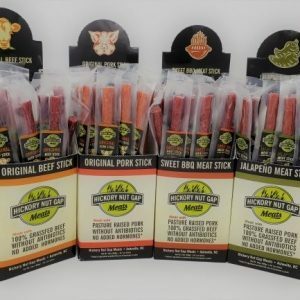 You will receive a monthly package of exceptional meats, discounts on admission throughout the year, free admission passes to special events, loyalty gifts and bonuses, plus daily discounts in our store. From animals to visit, meat from the butcher case, lunch prepared at our deli, to barn dances and classes, there’s something for everyone!